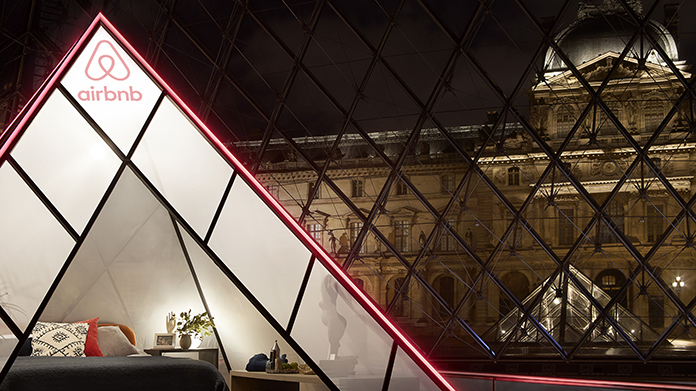 This week, the Airbnb team has been busy shouting about an incredible partnership with The Louvre, which will let one lucky winner and a guest explore the world-renowned museum after dark. Art lovers can apply for the exclusive chance to cosy up to some of the priceless masterpieces in the Paris institution, including the Mona Lisa and Venus di Milo, as well as sleep under the Louvre’s iconic glass Pyramid in a “mini-pyramid” specially designed to celebrate the building’s 30th anniversary. So good even Mona Lisa smiled at this one!